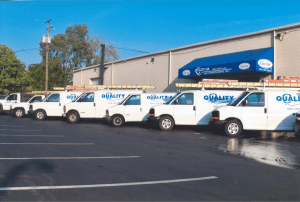 Efficiency is what you want when it comes to heating your Columbus home. You want a furnace that provides the greatest degree of accurate indoor comfort while at the same time operating at peak efficiency to reduce energy usage and lower utility bills. That’s seems like a lot to ask of a simple mechanical system but you should expect it out of the furnace in your basement, attic, or mechanical room. It is especially important today as energy costs have steadily increased, including electricity, natural and propane gas, and oil in Columbus. The best way to combat rising prices is to have a furnace that uses less energy. It is a simple statement but one that bears repeating: higher efficiency equals lower operating costs. You can be assured that an energy efficient heating system will keep more money in your pocket this fall and winter. You can take that to the bank.